SCOTUS to determine the Creek Nation's authority over its borders. Where does Native American authority over reservation boundaries end? 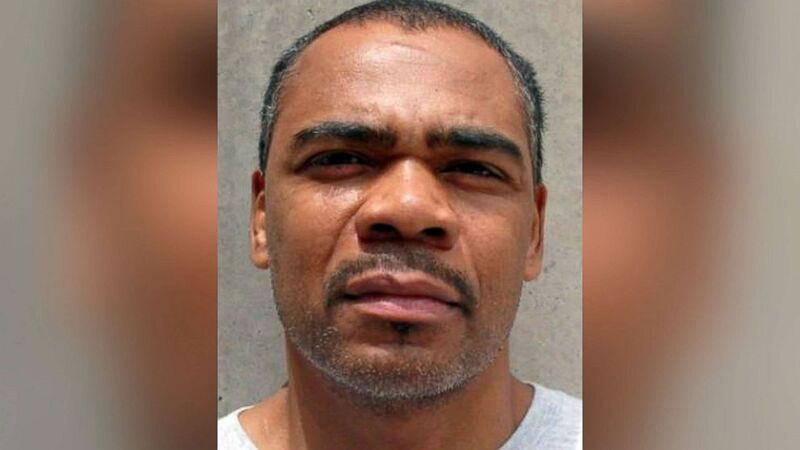 The question was at the heart of a feisty debate today at the Supreme Court that could determine whether a man on death row in Oklahoma lives or dies and whether the Muscogee Creek Nation still has authority over historic tribal lands. Justice Sonia Sotomayor barely let Oklahoma attorney Lisa Blatt finish her opening statement before demanding to know the precise date of statehood and when the Creek reservation was supposedly eliminated. "We don't have to give you a date," Blatt fired back, "Rome didn't fall in a day." Blatt argued that Congress acted in steps to effectively strip the tribe of its reservation, first taking the land then their sovereignty by limiting tribal government. She said that by the time respondent Patrick Murphy committed murder in Henryetta, Okla., in 1999 the area was state soil. (Oklahoma Department of Corrections via AP) This June 29, 2011 file photo provided by the Oklahoma Department of Corrections shows Patrick D. Murphy. But attorneys for the Creek Nation argued that Congress has never explicitly enacted legislation disestablishing the tribe and therefore it still exists. "The text is what governs," argued Ian Gershengorn, "and Congress considered [disestablishment] and rejected it." But Oklahoma pointed to the transfer of hundreds of tribal criminal cases to state courts at the time of statehood in 1906 as a sign the reservation was being phased out. "Everything was taken away," Blatt said of the tribe's sovereignty. "The only authority they had was to equalize alottments and sign deeds." Deputy solicitor general Edwin Kneedler, supporting Oklahoma, warned that the consequences of recognizing the area as a reservation now "would be a dramatic change from how everyone's understood it for the past 100 years." "There are earth-shattering consequences," Blatt added. She said as many as 2,000 prisoners in state custody could be released, including 155 murderers and 113 rapists. Such upheaval would be "traumatic" for victims, she said, with no certainty that all the cases could be retried successfully in federal courts. Kneedler said clarifying tribal authority over 44 counties in eastern Oklahoma could also upend regulatory systems and impact businesses. Sales taxes, gas taxes, cigarette taxes currently collected by the state in those areas may be nullified. "The US is very concerned," he said. The court's liberal justices were skeptical. 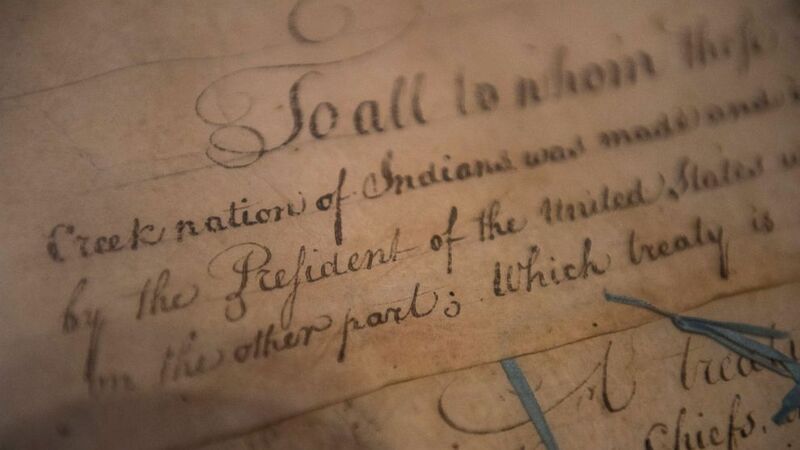 (Kevin Wolf/AP, FILE) A detail of the 1790 Treaty of the Muscogee Creek Nations and the United States sits on display at the Smithsonian's National Museum of the American Indian on March 16, 2015 in Washington. Justices Elena Kagan and Stephen Breyer noted that previous cases on tribal matters never talked about the notion of stripping sovereignty as a characteristic of disestablishing a reservation. "It's not there because we never thought a government trying to strip a tribe of powers was relevant to the existence of a reservation," Kagan said. But Breyer was also skeptical that transfer of tribal cases to state courts amounted to a "big deal." "Is it a big deal that they should have taken pending tribal cases and given them to federal courts instead of state courts?" Breyer wondered aloud. "That's not an abrogation of a reservation." Kagan agreed, suggesting courts' decision to transfer the cases was not relevant. "How do we know what Congress intended?" she asked aloud. Gershengorn explained that the state of Oklahoma and Creek Nation currently have co-jurisdictional agreements to govern the expansive reservation area and that affirming the lower court's ruling would not be as disruptive as the state predicts. "The state's concerns are dramatically overstated," said Ian Gershengorn, attorney for the Creek. If the lower court ruling is affirmed, Patrick Murphy's state conviction for murder -- and death sentence -- would be thrown out. His case would need to be re-tried by federal prosecutors which have prosecutorial authority on Indian land. Chief Justice John Roberts and Justices Brett Kavanaugh and Samuel Alito seemed to signal discomfort with the precedent that would set and broader impacts such a move would have. "There's not a single piece of text" disestablishing the reservation, Justice Alito conceded, "but a series of things that together, in context of statehood is a major difference."